“Can you eat them?” That’s the question I get most often when I tell people that I search for rare freshwater mussels. Most people don’t realize that freshwater mussels even exist and those who do often don’t know how they are related to and different from their marine cousins. I’ve been guilty of mussel misconceptions – as a child, I had believed that all the mussel shells I saw along lake shorelines and shallow waters were discards from a clam (mussel) bake of marine shellfish. On the left is the freshwater eastern floater mussel and on the right is the marine blue mussel. Photo by Mike Davenport. Let’s start with mussel similarities – both freshwater and marine mussels are bivalve (two-shells connected with a hinge) mollusks (soft-bodied invertebrates). Both live in water and are filter-feeders, straining plankton (microscopic plants and animals), bacteria and other particles from the water column. And both are known as “mussels” because they somewhat resemble each other, having shells which are longer than wide. That ends the similarities. Within the phylum Mollusca and the class Bivalvia, freshwater and marine mussels are within separate subclasses: Palaeoheterodonta = freshwater mussels; Pteriomorphia = marine mussels. Based on this separation, marine mussels are more closely related to oysters and scallops than they are to freshwater mussels. One obvious difference between freshwater and marine mussels is that freshwater mussels live in freshwater streams, rivers, ponds and lakes while marine mussels live in salt water oceans and bays. There is a higher diversity of freshwater mussel species in New Jersey (12 native species) than marine species (~ 3) and most of the freshwater species are imperiled while the marine mussels are still plentiful. Marine mussels taste wonderful in a garlic butter or marinara sauce while freshwater mussels taste like an old dirty shoe. 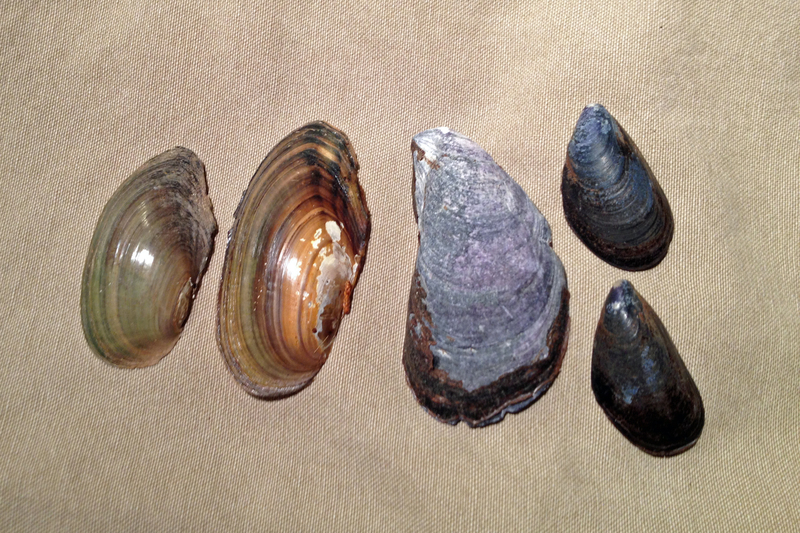 Most freshwater mussels in New Jersey also have a protected status and cannot be harvested or collected. Even possessing the shell of an endangered or threatened species is illegal without a permit. Although unpalatable to humans, freshwater mussels are prey for raccoons, otters, and crayfish. 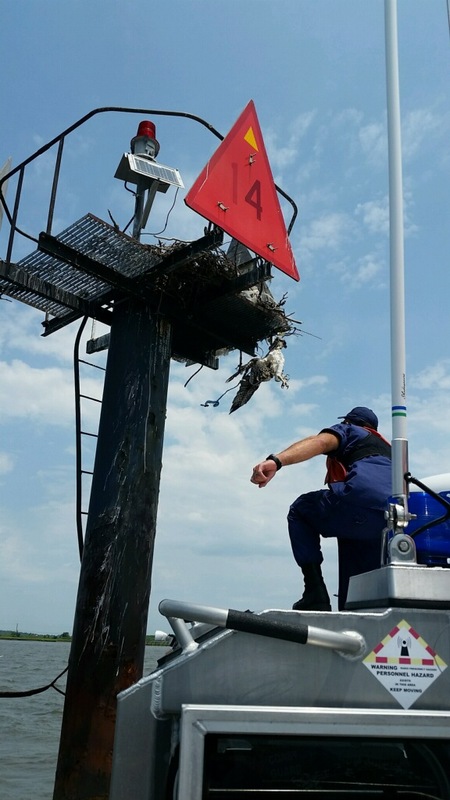 Marine mussels are prey for some birds, sea stars, and some marine snails. Marine mussels reproduce by releasing their eggs and sperm into the water. The young then begin life as floating plankton for between one and six months before settling on the bottom as an adult. With freshwater mussels, the male releases sperm into the water which then enters the female via her incurrent siphon. The eggs are fertilized within the female’s body and the young mussels, known as glochidia, are then released into the water to attach themselves to a passing fish as a parasite. After feeding on the fish during their larval stage, they detach themselves, fall to the bottom, and begin their adult stage. Most marine mussels (and the invasive freshwater Zebra mussel; which is not within either the Palaeoheterodonta or Pteriomorphia subclasses) use threads calls byssus to attach themselves to underwater rocks, jetties, and other structures. Freshwater mussels are more mobile, using their powerful foot to move along the substrate and bury themselves. Freshwater mussels are also known for their longevity. Some species are known to live for over 100 years. Although some marine clams are thought to surpass the century mark, marine mussel likely do not.